3D Hydraulic type vacuum heat transfer machine with slide table. (WE-CP1-3S ) - Guger Industries Co., Ltd.
3D Hydraulic type vacuum heat transfer machine with slide table. Application: The vacuum heat transfer for 10"~15" notebook computer top cover. Closed packing gives the safety and prevents the accident. 230簞 no fade powder coating surface treatment. The water-cooling system keeps the operation of the hydraulics and no overheats. Special temperature sensor is adopted for the accurate temperature reflect. Using P.O. D for easy operation and maintenance. 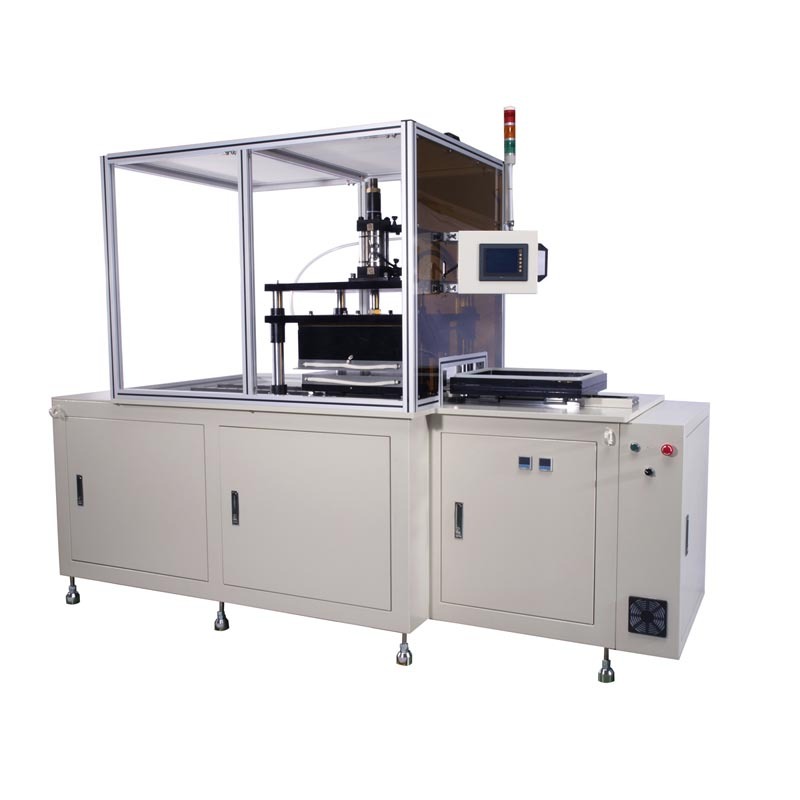 The printing position can be fixed by registration device without displacement.